Home / POLITICS / President retorts on CCR ruling on the state budget: Gov’t is desperate to get the money. How does PSD reply? President retorts on CCR ruling on the state budget: Gov’t is desperate to get the money. How does PSD reply? 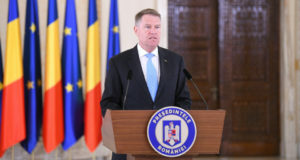 After the Constitutional Court rejected his referral on the state budget, but upheld the notification on budget ceilings, President Klaus Iohannis convened a press conference, arguing the Government “is desperate to get the money”. 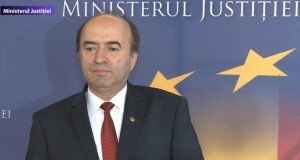 He announced he will send the budget draft law for 2019 back in parliament, with a simple message: “Draft a healthy budget for Romania”. “The CCR is proving one more time that PSD is legislating in an immoral, bad and unconstitutional manner. The Court has ruled that one of the laws I challenged has been adopted by breaking all constitutional norms. As for the state budget law, I won’t comment the Court’s ruling, yet the budget remains one based on false, wrongly tailored figures. It remains the budget of the national shame”, the Romanian President said. 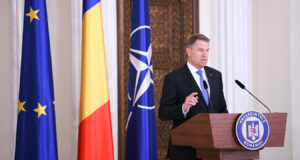 Iohannis argued that “the worst government in the history after December 1989, a PSD cabinet of incompetence and imposture has tailored a budget to match it”. According to the head of state, “the budget is tailored on a fantasy scenario that is questioning the observance of the international treaties and of the legislation in force” and the budget “has been drafted to mainly serve the political interests of a small group”. “PSD is following an agenda that has nothing to do with the economy, with the Romanians’ situation or with the real development of the country. The budget has allotted huge sums of money to the political parties, with PSD benefiting the most, but are cynically told that there are no money to increase child allowances in due time. The Government is desperate to get that money. 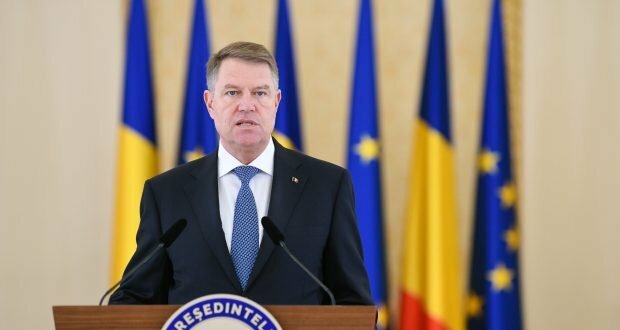 The fact that initiatives such as the greed ordinance or the desperate intention to seize the economy’s gold reserve appear over night proves that not even PSD trusts that the budget can be made“, Iohannis pointed out. The President further said the citizens and the private business environment will be the ones “to pay the bill”. Iohannis also added that PSD is the main culprit for the delay of the state budget. “The PSD ruling has failed. If PSD is not able to rule for the citizen, then it should step aside and let others who are good at that. I will send the budget law back in Parliament to amend and improve it. The message is simple: draft a healthy budget for Romania,” the President concluded. In retort to the President’s criticism, the Social Democrats have replied on Facebook that Klaus Iohannis is lying again when saying the PSD budget is the worst, reminding the head of state that Ciolos’ budget in 2016 used to envisaged cuts by RON 16 billion for the healthcare sector and by RON 10 billion for the education system. “Iohannis is lying again. He says the budget proposed by PSD is the worst. But Iohannis has approved Ciolos’ budget in 2016 that envisaged less money by RON 16 billion for the healthcare and by RON 10 billion for Education. He says there is RON 1 billion less in 2019 for the local communities. In reality, local communities received RON 4.6 billion more. So, it is a plus, Mr. Iohannis, not a minus“, reads the PSD post. As for the President’s rebuke on the growing subsidies for the political parties, PSD says that neither PNL nor USR have come to give surplus back to the state budget. “And he doesn’t say that his PNL has asked in Parliament in 2018 for the increase of the parties’ subsidies. He says there is less money allotted for investments. But in reality, the 2019 budget stipulates over 15 billion more for investments. The budget blocked by Iohannis envisages the highest allotments for healthcare in Romania’s history”, PSD claims. On the other hand, SocDem deputy Florin Iordache said that PSD-ALDE will not operate any amendments on the 2019 budget law, as president Iohannis is asking, and will send the draft back to him unchanged so that the head of state will be compelled to promulgate it in ten days. “To prove the ruling majority’s force and strength, we’ll vote in the joint chambers of parliament as soon as possible, so that the president should be compelled to promulgate the budget”, Iordache added.